Brian Marz Guided Fly Fishing will be offering a winter trout fly fishing class on January 7th. Come and join the opportunity to get off the couch and learn how to catch trout in the winter months. The class will be held on January 7th, 2012, and it will be on the McKenzie or Willamette River (whichever has better water conditions at that time) close to Eugene/Springfield. Both rivers are a short drive from the Portland Metro area (1 1/2 - 2 hours), and there are no mountain passes involved; just the I-5 corridor, and we'll have the class about 15 minutes from highway I-5. The class will be from 10am to 4pm, and it will be an "On the Water" Class, but it will not be about catching fish. It is a class; so the focus is on instruction, and fish hopefully will be caught while doing demonstrations, but that is not the point of the class. It is not a guided fishing trip on the river; it is a class! This class is about showing the participants how to decipher winter trout conditions, how you'll want to fish out there, what flies to use, along with how to rig them. A lot of anglers are not aware of the year round trout fisheries in Oregon, and how winter can provide some very rewarding angling opportunities. Four anglers will be in the class, and the cost will be $125 per person. Payments must be made in full to be in the class, and if the class is cancelled due to adverse conditions you will receive a full refund. This is a winter trout class; so don't expect nice weather out there, but the class will only be conducted if there are viable conditions to run the class for what you would typically encounter for winter trout fishing. Refunds on individual cancellations entered into the class must be made 10 days prior to the class, in order to ensure someone else being able to sign up for the vacant spot in the class. 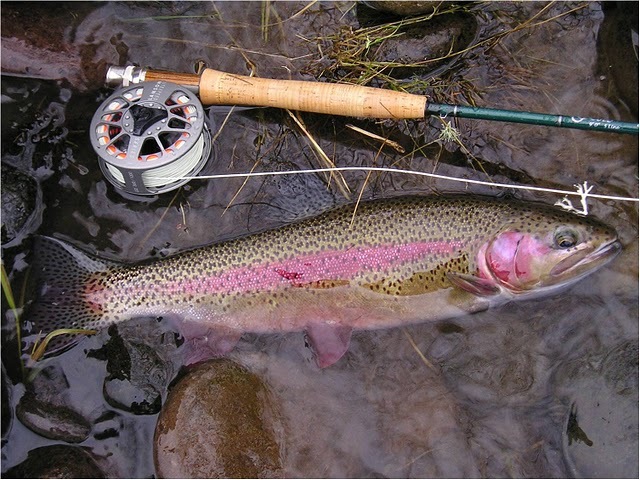 Flies will be provided for the class, and rod/reel tackle brought to the class also for participants to try out if you do not have a trout rod. -A Positive Learning Attitude!!! We are going to have fun out there learning how to fish for trout in the winter months!! If you are interested in signing up, email me at fish@mckenzieangler.com, or call me at (541)232-6360.